I was eager to get this book for review and happy that I did. 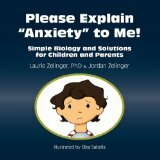 Dr. Laurie Zelinger and son Jordan Zelinger have managed to explain the biological reasons for anxiety in such a simple way that my young children easily understood. My 6-year-old son and even my daughter loved the use of dinosaurs in the explanation, and I thought the comparison to a switch turning on and off was brilliant. 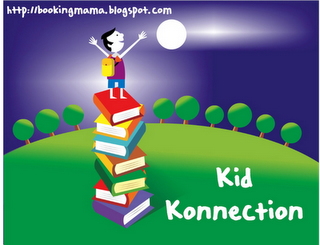 The illustrations are also simple, colourful and age-appropriate. Disclosure: Thanks to Loving Healing Press and ReviewTheBook.com for sending me this book for review. I was not compensated in any other way, nor told how to rate or review this product. I think it's so important that there are books out there like this one. And it sounds like it's pretty effective in explaining anxiety on a child's level. Thanks for sharing! P.S. -- You must check out all of Maud Hart Lovelace's books. My daughter and I love reading them. This does sound like a great book for kids as well as parents. I think too many parents don't remember those feelings from their childhood, so they don't handle them that well in their children.